Kompetisi official pertama di Jakarta pada tahun 2019. Maksimum kompetitor adalah 120 orang; informasi tentang pendaftaran dapat dilihat di persyaratan registrasi. Kami akan memberikan sertifikat kepada seluruh kompetitor. The first official competition in Jakarta on 2019. The maximum competitor limit is 120 people; the registration information can be seen in the registration requirement. We will give ceritifates for all competitors. Kami menerapkan sistem siapa cepat, dia dapat (yang membayar terlebih dahulu akan terdaftar terlebih dahulu). On the spot registration: Datang dan bayar biaya pendaftaran pada hari H di meja registrasi. On the spot registration hanya dibuka bila limit kompetitor belum tercapai pada hari H.
Yusuf mengikuti 5 event: 2x2, 3x3, 4x4, pyraminx, dan skewb, maka Yusuf harus membayar Rp100.000 (bila mendaftar setelah tanggal 22 April, maka Yusuf harus membayar Rp125.000). * Tidak ada refund untuk pengunduran diri atau registrasi yang tidak lengkap. We are applying first come first serve basis for the registration. On the spot registration: Come and pay the fee on competition day at registration table. On the spot registration will only be opened if the competitor limit has not been reached by the day of the competition. Yusuf participate in 5 events: 2x2, 3x3, 4x4, pyraminx, and skewb; therefore, Yusuf has to pay Rp. 100.000 (if registered after April 22, he has to pay Rp. 125.000). 4. Registration will only be accepted and considered completed when the payment and confirmation has been successfully done. * Refund can only be done when the registration has been accepted and completed but unable to participate due to competitor limit. * No refunds will be made for withdrawal or incomplete registration. You are viewing the schedule for the venue Pluit Village Mall. The schedule is displayed in the timezone Asia/Pontianak. 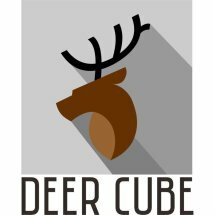 Jadilah sponsor atau mitra kami sehingga Anda dapat terhubung dengan ratusan peserta dan puluhan ribu pecinta Kubus Rubik di dunia. Become our sponsor or partner and connect with over hundreds of speedcubers (participants) and over thousands of speedcubers around the world. This T-shirt will be given free only for competitors registered through Early Bird registration. Note that the T-Shirt deisgn is not final and could be changed depending on the sponsors for the competition.